Cartographies of Disease: Maps, Mapping, and Medicine examines 300 years of medical mapping and how maps help us understand today's diseases and tomorrow's epidemics. 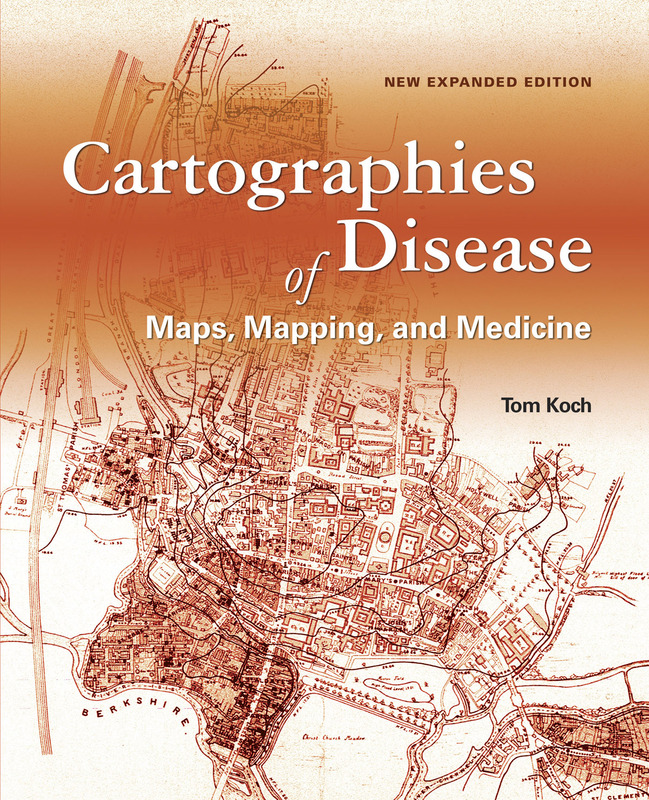 Redlands, California—The new edition of Cartographies of Disease: Maps, Mapping, and Medicine from Esri traces the long history of how maps have been used to help unlock the mysteries behind the cause and spread of diseases such as cholera, yellow fever, and Ebola. Cartographies of Disease was first published in 2005 and showed how maps could be used as an important tool for studying both chronic conditions and disease epidemics. It became a must read for policy makers and others working in public health and medicine. In this expanded edition, author Dr. Tom Koch adds new material to deepen readers' understanding of medical mapping from the seventeenth into the twenty-first centuries. The book covers the mapping of diseases and medical conditions such as cholera, yellow fever, typhoid fever, sandfly fever, hernia, lymphoma, arteriosclerotic heart disease, cancer, influenza, AIDS, West Nile virus, and Ebola. The book provides a nontechnical narrative and a visual history of mapping's role in studying what causes disease, understanding where and how diseases spread, and how they can be combated. The illustrations include more than 100 maps and charts, from a pair of 1694 maps of plague locations and containment zones in Bari, Italy, to digital maps of the 2014 Ebola outbreak, created using geographic information system (GIS) technology. Ebola is the focus of the two new chapters. In chapter 13, the international perception of Ebola's threat is charted and, with it, the fear engendered by the possibility that a local outbreak might become an international pandemic. Perceptions of the disease and reactions to it are mapped using contemporary technologies such as GIS.